nrelate Flyout: one of the plugins we have been using to promote our own content. 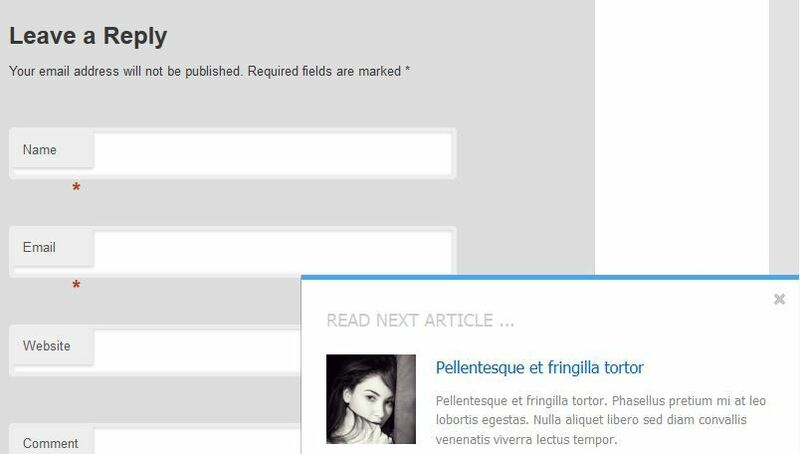 Displays related content on your pages in a flyout box to reduce your bounce rate. upPrev: similar to the previous plugin, this script lets you show previous (in category, tag) or random posts to your visitors. It is compatible with YARPP (which we do not recommend). Ninja Kick Sidebar: this plugin adds a hidden sidebar with content push animation effect on every page on your website. You can do a lot of neat things with a script like this. 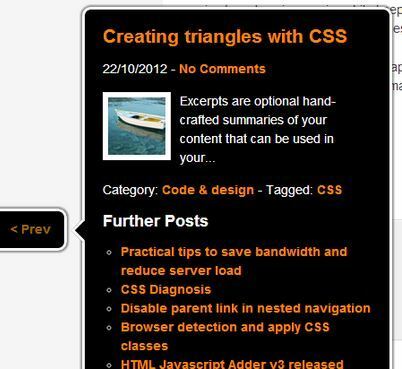 Advanced Post Navigator: adds interactive Next & Previous buttons to posts and pages. It has multiple arrow and bubble styles. Keyboard navigation is supported. Next Post Fly Box: creates navigation between next and previous posts as a floating pop-up box on the left or right side of the screen. It supports custom post types and categories. 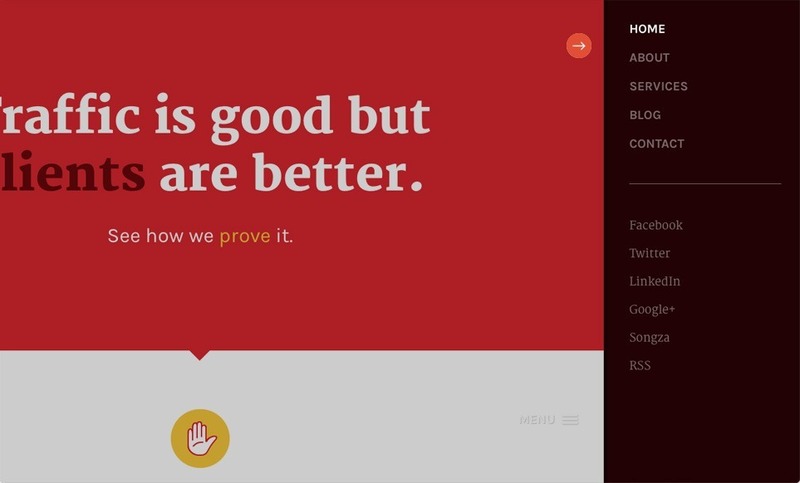 It is slick and jQuery powered. These plugins allow you to promote your previous articles and get people to stay on your website longer. Don’t expect a miracle but these plugins are well worth testing. Yes. Sorry. The post is a bit old. We will update with new plugins soon.